Organizations must commit to developing strong telecom RFPs that accurately capture the needs of the business and are structured to generate optimal return on investment. One key advantage of the RFP development process is that it prompts and facilitates long-term planning and goal-setting – activities many businesses fail to engage in during normal operations. Enterprises drafting RFPs are given the opportunity to evaluate their current telecom systems, articulate potential improvements and therefore future-proof the organization, according to the International Data Group. 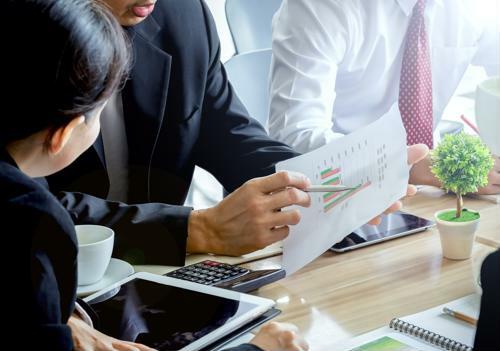 A majority of experts advise firms to craft plans encompassing three years or more, as such strategies support short- and medium-term growth while leaving room for further modification down the road. This wiggle room is especially important for two reasons. First off, enterprise telecom technology continues to move forward at a breakneck pace, meaning new, more effective communications solutions are likely to materialize in the near future. Secondly, companies should continually review their telecom strategies and the associated costs in an effort to right-size their operations and keep the accounting division happy. In addition to developing formalized telecom plans, businesses should also review service-level agreements to see what contractual stipulations best promote effective operations and empower the organization. SLA requirements often change, meaning chief information officers and other RFP stakeholders are likely to bring updated provisions to the negotiation table. With exhaustive enterprise telecom plans and renewed SLA criteria before them, RFP teams often move onto the document drafting process, intending to publish, evaluate responses and begin implementation as soon as possible. This brand of expedited RFP execution often leads to failure, as it leaves out a small yet essential step: the establishment of service evaluation criteria. Firms that rush past this phase normally find themselves scrambling to review RFP responses without common specifications, a practice that lays the groundwork for procurement error, TechRepublic reported. This is, of course, an easy situation to avoid. RFP project leaders can work with stakeholders to develop this criteria, which is also useful for vendors as they can gain clear insight into how their offerings will be reviewed internally, reducing the likelihood of submission error and resulting slowdowns. "Pre-proposal conferences are the best forums for connecting with vendors before the release of an RFP." Many businesses first connect with potential vendors via their telecom RFPs. This makes sense on the surface. After all, the RFP process is designed to facilitate the efficient cultivation of multiple provider relationships, a distributed approach that enables organizations to explore numerous options and fuel competition that may ultimately lead to lower service fees. However, project teams should offer vendors alternative outreach methods prior to releasing their proposals. This approach gives third-party telecom firms the opportunity to learn more about the organization's needs and ask questions of the internal personnel leading solution selection and implementation efforts, prior to reviewing specifications laid out in the pages of the RFP. How should enterprises go about facilitating this communication? Pre-proposal conferences are the best forums for connecting with vendors before the release of an RFP, according to the Institute for Supply Management. During these events, organizations offer outlines of technical requirements and answer clarifying questions in an effort to not only draw more focused proposals but also promote a level playing field among future respondents. This is a surprisingly important variable, as known entities in the telecom industry can hold an advantage over smaller providers. This state of affairs may lead procurement departments to go with recognized companies based on their presence rather than their product offerings, leaving better, more cost-effective services from upstart firms on the table. Companies often encounter difficulties when negotiating with one or more telecom service providers. These corporations tend to deploy specialized deal-making tactics that give them the upper hand when it comes time to draft SLAs, CIO reported. Businesses must account for this likely situation and prepare ahead of time. How? Telecom expense management platforms can help even the scales, giving procurement personnel the power to carefully review incoming contracts and compare them with other available service offerings. Here at Teligistics, we have helped companies turn the tables on vendors during telecom contract negotiations for three decades via our advanced TEM solutions. Interested in learning how the team at Teligistics can help you negotiation advantageous telecom contracts and reduce your telecom expenses? Contact us today or review some of our success stories.